On behalf of the Patriot Isaac Carter Chapter, the New Bern Chapter presented the Bronze Good Citizenship Medal to Young Marine Sgt. 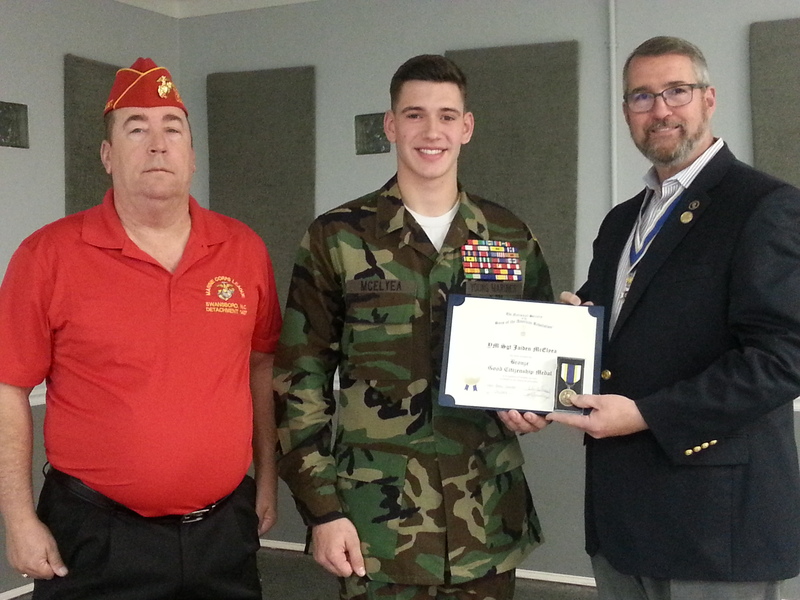 Jaiden McElyea of the Swansboro Young Marines on Friday night, February 1, at the Swansboro VFW Hall. YM Sgt. McElyea earned this award based on his outstanding citizenship, leadership, and service to his community this past year in the aftermath of Hurricane Florence. Pictured from left to right: Swansboro Marine Corps League Commander Dave Burgers; Young Marines Sgt. Jaiden McElyea; and New Bern SAR Chapter President Jay DeLoach.